Dragon Ball Super Broly movie discussion: Predictions, Theories and Possibilities! Hello everyone! I hope everyone is having a nice day today in the internet world. As we are in September, get ready to enter the fall season. 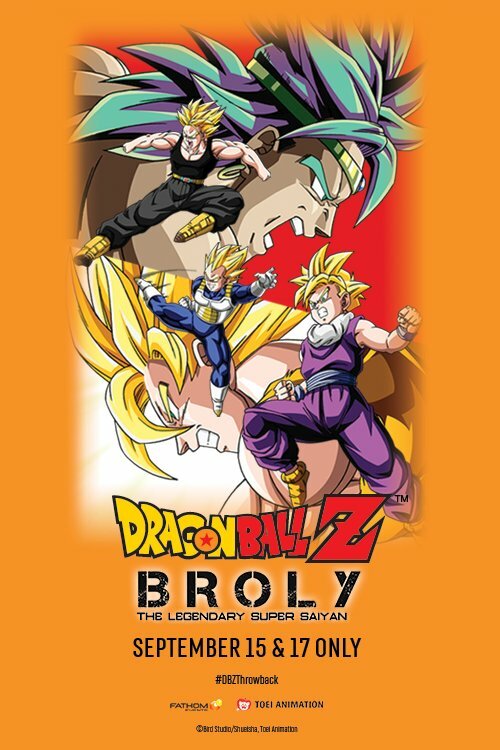 Coming in fall, we have the remastered movie of the classic fan favorite Dragon Ball Z movie Dragon Ball Z: The Legendary Super Saiyan Broly in select theaters. The movie will be playing in September 15th and 17th. 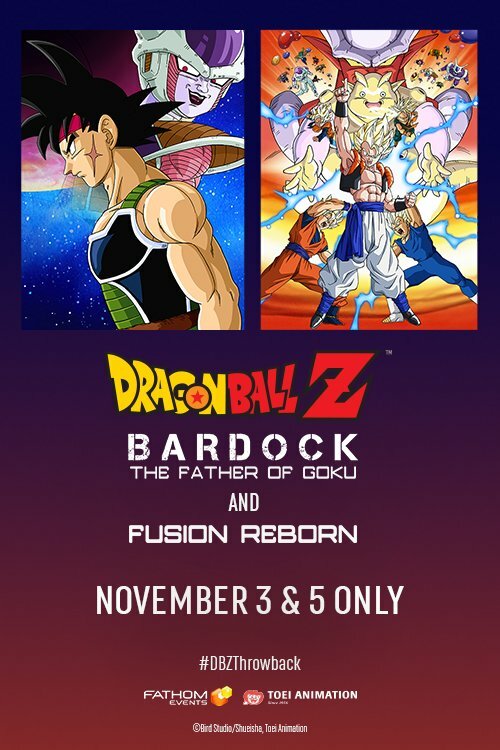 More Dragon Ball Z movies and specials are coming this fall in November and they are called, Fusion Reborn (12th movie) and Bardock: The Father of Goku (TV special). You might be wondering why are these movies chosen and are premiering in theaters. Before I tell, let me what’s the special occasion with these DB movies. It’s been announced that there is going to be a Dragon Ball Super movie this late 2018 and early 2019 (Japan will have it on December and North America is on January). The movie is titled Dragon Ball Super: Broly and according to resources, Dragon Ball creator Akira Toriyama will be involved with the movie and that also means that the fan favorite antagonist Broly will finally be canon to the series. With this said, this is what I want to talk about. I want to talk about the things I noticed with the Dragon Ball Super movie and what I think what we should expect from the things happening around us. First off, let’s talk about what is this movie about. According to the trailer, the story takes place after the last episode of Dragon Ball Super where the Tournament of Powers is over and Goku and his friends are living in peace. The peace is suddenly over when Goku and Vegeta meets a mysterious group led by Paragus and his son Broly. Broly is sent to fight both Goku and Vegeta and surprisingly overwhelms them with his power. It’s also hinted that Frieza gets involved too fighting the monster Saiyan. We do see some glimpse of the Saiyan Race when we see some babies and other Saiyans. Dragon Ball Z: Broly the Legendary Super Saiyan – Broly and Paragus is back! Obviously shown on the title, Dragon Ball Super: Broly movie will have the characters Broly and Paragus and they will officially be canon. Instead of using the same designs from the DBZ movie, Toriyama decides to update and modify the designs of both Broly and Paragus. 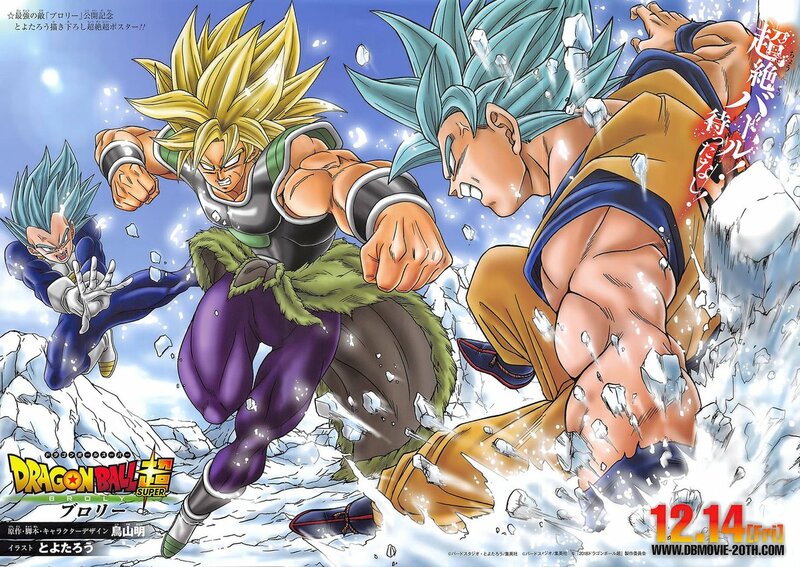 Seen in the video and pictures, Broly appears with a”barbarian” appearance by donning the Saiyan armor with a fur pel belt. Paragus stll has the scar, damage eye like in the old movie, but appears very old with gray hair and a long beard. It is also shown in the video that he tells Broly to go and attack without any mind device suppressing his rage. It could be possible that Paragus can control Broly. Overall with this point, DBS: Broly and DBZ Broly will still retain the same characters but with updated appearances. Bardock: The Father of Goku – Possible history on the Super Saiyan God? Bardock: The Father of Goku is a TV special which tells the back story about Goku’s father Bardock and he saw a vision about the fate the Saiyan race and how Frieza was going to rise and then fall by the hands of Goku. I feel like this is another thing to point because I feel Dragon Ball Super: Broly is probably give in depth about the Saiyans past and might even mention about Friez’a hate towards the Sayians. Going back to an old post I wrote about the movie announcement, it is hinted that the Dragon Ball movie will be discussing about the Saiyan’s true power. According to Toei Animation site, the new movie theme will be about “the origin of the Saiyan’s power and what it means to be a Saiyan.” It got me thinking, what if we get to learn about the Super Saiyan God as well. It was mentioned in the Battle of Gods movie that a group of Saiyans work together and channeled their energy into one Saiyan that warrior became a Super Saiyan God. The Super Saiyan God was very powerful, but the warrior lost its power and disappeared. Here’s another what if scenario. 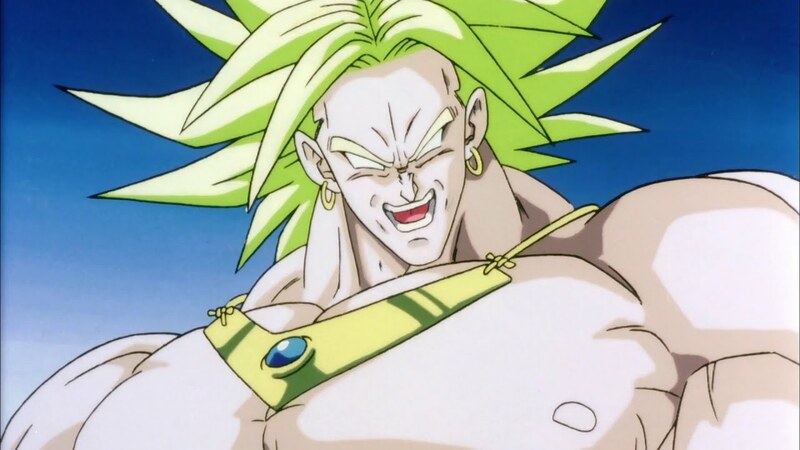 What if Paragus tried to turn Broly into a Super Saiyan God?We know that Broly is a powerful warrior born with a high power level and was able to transform into a Super Saiyan really early. In the DBZ movie, Paragus used his son’s powers to bring fear other planets and even tried to kill Vegeta in acts of revenge against his father, King Vegeta. What if in DBS Broly, Paragus tried to experiment and use his own son to gain the Super Saiyan God powers? As usual with Frieza, he destroyed the Saiyan race and the planet because he saw how powerful Saiyans get and was afraid they would overthrow him. Fusion Reborn – Possible new SSB Gogeta? Last but not least, we have the Dragon Ball Z movie Fusion Reborn. Fusion Reborn is the 12th movie in the series which tells the story about Goku, Vegeta and Pikkon fighting against an evil dimensional warrior named Janemba who is wrecking havoc in the Other World where the dead is among the living. Janemba get so strong that not even Goku and Vegeta could take him on by themselves. The ace in the card is where Goku and Vegeta performs the Fusion dance and become Gogeta and defeats Janemba. As far we know, Goku and Vegeta are going to be the known Z-Fighters to fight against Broly. I have my specualtions after reading a fellow blogger’s post named bookishnerdygirl who found some interesting information about upcoming updates to Dragon Ball Xenoverse 2. According to her blog, she found out some information stating that Dragon Ball Xenoverse 2 will be adding some more DLC for the game. It’s hinted that DBS version of Broly will be in the game, but it sounds like a “new form” of Gogeta appear in the game. It could be possible that Dragon Ball Super: Broly movie will include Gogeta or for the most part Super Saiyan Blue Gogeta. Gogeta is a powerful warrior because it’s the fused form of Goku and Vegeta who known as the strongest Saiyans on Earth. Besides the DBZ movie, Gogeta doesn’t get much attention unless you play the video games. If Gogeta does appear in this new movie, he will be canon to the series and we might see some new powers like obtaining SSB. In a sidenote, Goku and Vegeta has fused before but with the Potara earings fusion and became Vegito due to circumstances. They became Super Vegito when fighting against Majin Buu (or known as Super Buu) in DBZ. They brought back Vegito and gave him the Super Saiyan Blue in Dragon Ball Super when they fought against the fused villain Zamasu (fused by Zamasu and Goku Black). With this extensive information, here is my possible prediction to Dragon Ball Super: Broly. The new movie will be borrowing elements from past movies and will incorporate something entirely new to fans. We will be getting Broly and Paragus in Toriyama’s involvement. We might get more information about the Saiyans, Super Saiyan God and maybe about Frieza’s involvement with the Saiyans. We could see a possible chance of having Gogeta on the big screen and being part of the main story. Maybe the reason why these two movies and special is being brought back to theaters to help refresh the memories of fans and give us hints of possiblities in the new DBS movie. What do you think about this? What’s you opinion about Dragon Ball Super: Broly? Do you have any predictions or theories you want to bring up? Comment down below. Hello everyone, I hope everyone is having a fun Thursday today. I got some exciting news to share with you in the world of anime. Thanks to my Twitter friend @wicked_ninja123 and to my awesome blogger friend Barbara, who is also the writer in her blog bookishnerdygirl, I saw some awesome news. Thank you guys! Revealed at San Diego Comic Con, FUNimation revealed the English Dub to the upcoming movie Dragon Ball Super: Broly. In this video, we see returning characters like Goku, Vegeta, and Frieza and we also see Akira Toriyama’s version of Broly and his father Paragus. In this version, Broly dons a Sayian armor and Paragus appears old. How hype are you? This movie comes out in America in January 2019. Funimation obtains license to Dragon Ball Super movie! Rejoice Dragon Ball fans, because I bring good news from Funimation! It’s been officially announced by Funimation that they obtained rights to the anime movie Dragon Ball Super: Broly. According to Twitter, the movie will be premiered in American theaters in January 2019! In results of getting the license to the movie, this also means they will be in charge of selling the home DVDs and streaming market as well as selling the movie digital. Dragon Ball Super movie news: Broly is back! Hello everyone and welcome back to some exciting news. 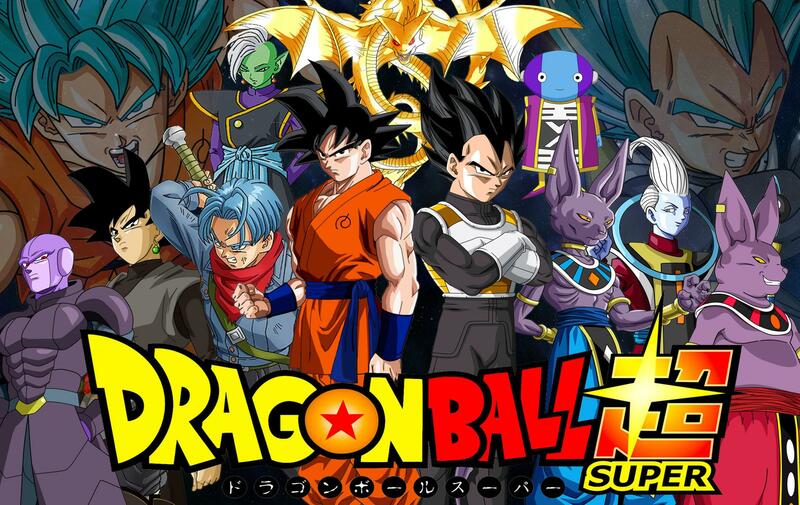 Revealed all over online, we got some new information on the upcoming Dragon Ball Super movie. Revealed on Twitter, Toei Animation revealed a key image to the movie along with a returning and rebooted character from the Dragon Ball Z movies. The returning character is Broly and the movie will be titled Dragon Ball Super: Broly. Also revealed, Akira Toriyama commented and mentioned that this Broly will be different than the ones in the past movies. According to the message, he designed Broly for the three movies (Dragon Ball Z – Broly the Legendary Super Saiyan, Second Coming and Bio Broly), but he was not involved with the movie and characters and he forgot about his story. Now, Toriyama recently saw the movies and he is going to bring back Broly and do the story in his way. Dragon Ball Super: Broly will be in the theaters in Japan December 14, 2018. Question to this: For an English Dub version of the movie, will Vic Mignogna return as Broly? Please donate to my page at Ko-fi. 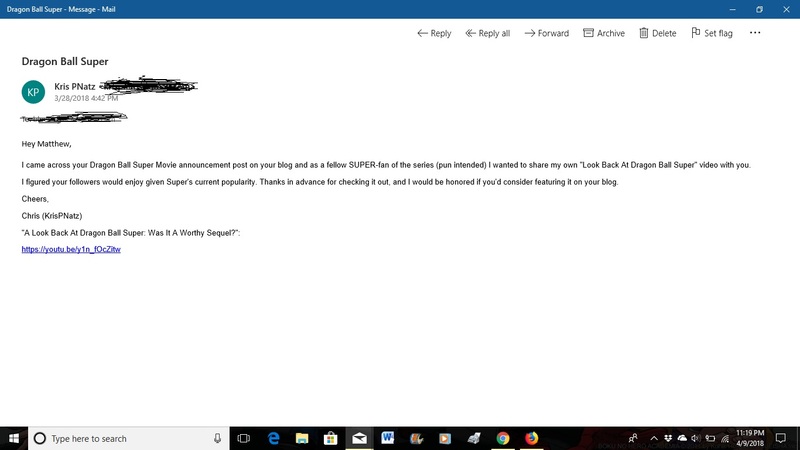 I received an email from a YouTuber named KrisPNatz asking if I can feature this video on my blog after finding out the announcement for the Dragon Ball Super movie. If you like this video and Youtuber, go like this video and follow his channel for Dragon Ball content. I am sorry that I took this long to watch and respond to your video. I hope I didn’t give any hard feelings. Since he likes Dragon Ball Super and I like it, I figured he’s a cool dude and I was right. Pretty funny guy. In this video, Chris talks about Dragon Ball Super and how much it affected the DB community. He begins with it bys saying some history like after Z, we got content like GT and the fan series AF. Along the way, he points out some interesting topics that Super brought back some memorable characters like Future Trunks, Android 17 and even Frieza. He did critique on the fact that the series’ animation had a rough start especially with the Beerus arc. It’s unknown what the future holds for Dragon Ball since the series is over and we lost to the key voice actress to Bulma, but there is a shed of light in the tunnel. We have the upcoming movie set in December and the Dragon Ball is not official over. More or less, there is always room for more Dragon Ball and if there is more possibilities, Goku and his friends will have more adventures and we can be part of it at home or in a room with our friends, family or self. Once again, I am sorry for the delay. 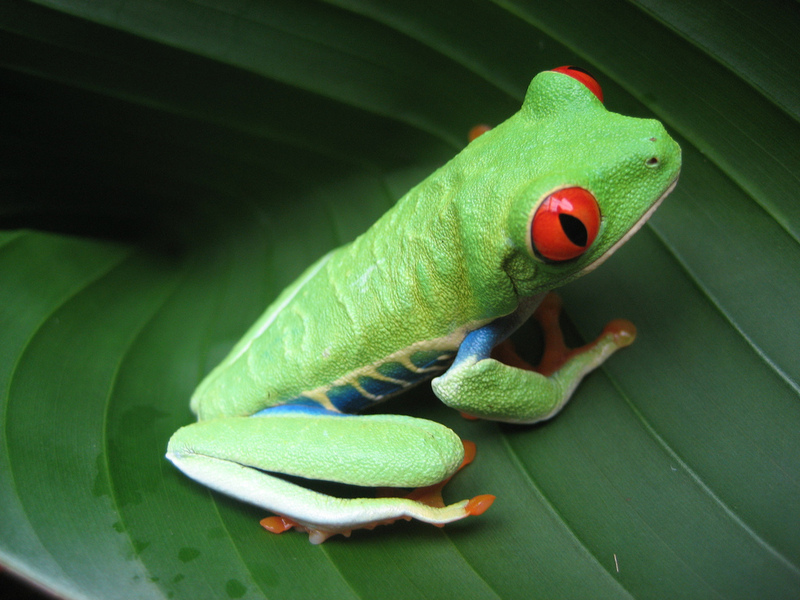 I hope you like this featured post. Dragon Ball news: 2018 teaser film and new app game! Recently Announced by Bandai Namco of Entertainment, a new Dragon Ball mobile game is set to be released this upcoming summer. According to Twitter, this game will be played with simple controls such as playing with only one hand and an original character made by Akira Toriyama will be in it. The game will allow players from all over the world to fight each other online whether you are in America, Japan, Europe or other country. This new game is called Dragon Ball Legends and it will be available to play for Android and Apple users. TGIF Friday Funny 90: New Year! Newly Weds!! Thank God it’s Friday! I’m Matthew and welcome to this important and blessed Friday! What makes this day great? As a way to start this new year of 2017, I would to announce that Saturday, December 7th will be my sister’s wedding. She’s finally getting married and I can’t help but feel happy for her. After three years of dating with her fiancee, these two love bird decided to tie the knots and become a family of their own. After all my years of hanging out her fiancee, I can’t help but feel blessed; he is a cool guy and he really feels great to have an older brother. Saturday will be a major life changing moment in not only their lives but ours. As they leave and become their own family, we will continue to stay close together and expand the family! Aside from my life, here is a quick recap news for anime fans. In Toonami, since we’re not getting Iron-Blooded Orphans season 2 any time soon, we are, instead, getting the updated anime Mobile Suit Gundam Unicorn Re: 0096. You can read the plot here but this anime is updated adaptation to the classic Japanese OVA. Not one but two new anime series are joining Toonami but all under the same title. Dragon Ball Super and Dragon Ball Z Kai: The Final Chapters are joining Toonami. After the long wait, FUNimation will be broadcasting the anime with the veteran English Dub cast and updated actors and animation. 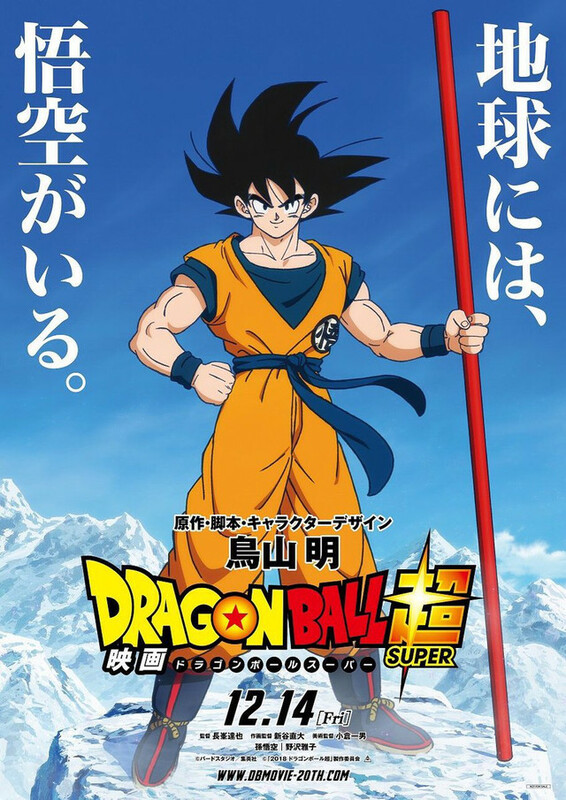 Super takes place after the events of Majin Buu and it’s the anime adaptation to the original movies like Battle of Gods and Resurrection ‘F’ with a large plot and new characters. The Final Chapter is the Kai version of the classic Majin Buu Saga without the fillers. Last but not least, the long return of the popular series Blue Exorcist returns! Under the name, Blue Exorcist – Kyoto Saga –, the main protagonist Rin Okumura and his younger twin brother Yukio and his classmates return to slay more demons. However, based on the original manga arc The Impure King Arc, Rin will once again go through trials as he make sacrifices and must learn the responsibilities of his demonic powers if he wishes to save his friends. This anime return will follow the manga and will bring back the previous voice actors. With all this said, let’s start this new year! To end this post, here are some videos that relate to this wedding event! I was also the one who gave Anime Reviewer Girl the idea topic discussion for anime themed weddings. Thank you Shay for doing this to topic! Comment on your idea wedding at her blog and video. God bless you, my sister Vanessa and my new Brother-in-law Alex! Dragon Ball News! Super and Buu Kai at Toonami!! Starting off with a Big Bang, FUNimation has announced not one but TWO big news regarding to Dragon Ball! With recent news of the anime being dubbed in English Dub and spread out to the rest of the world, FUNimation, Toei Animation and Adult Swim announced that they will be allowed to broadcast the first season of the long awaited anime Dragon Ball Super on Toonami. The anime will begin on January 7, 2017 at 8:00 p.m. EST and 11:30 p.m. EST. If you thought this was only news, there is still room for one more! Also announced by FUNimation and Adult Swim, Buu Saga of Dragon Ball Z Kai will be in English Dub and will also be in Toonami. The anime will be under the titled as “Dragon Ball Z Kai: The Final Chapters“. The anime will also be premiered on Saturday, January 7 at 12:00 a.m. EST. This anime will cover the last saga of the Dragon Ball Z story. The previous anime Dragon Ball Z Kai ended at the conclusion of the Cell Saga. These are the news for Dragon Ball fans. I am excited and ready for 2017! Ka-me-Ha-me-HA!! !